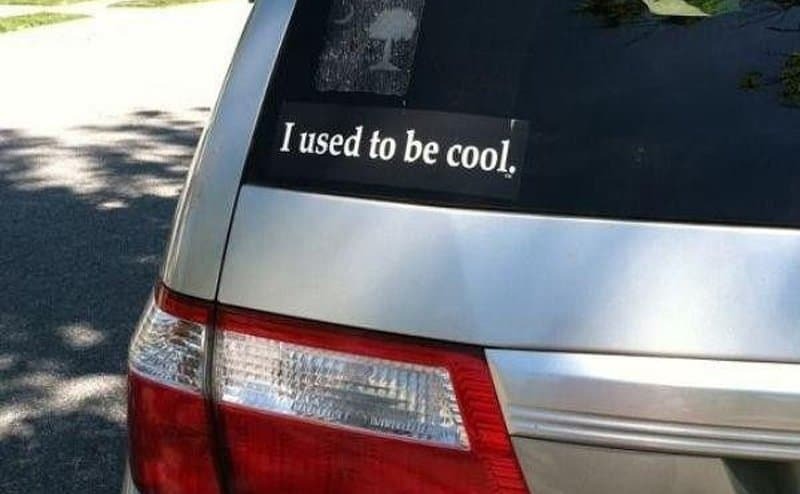 If you can’t tell, this bumper sticker is on a minivan. This is one driver to avoid if at all possible. 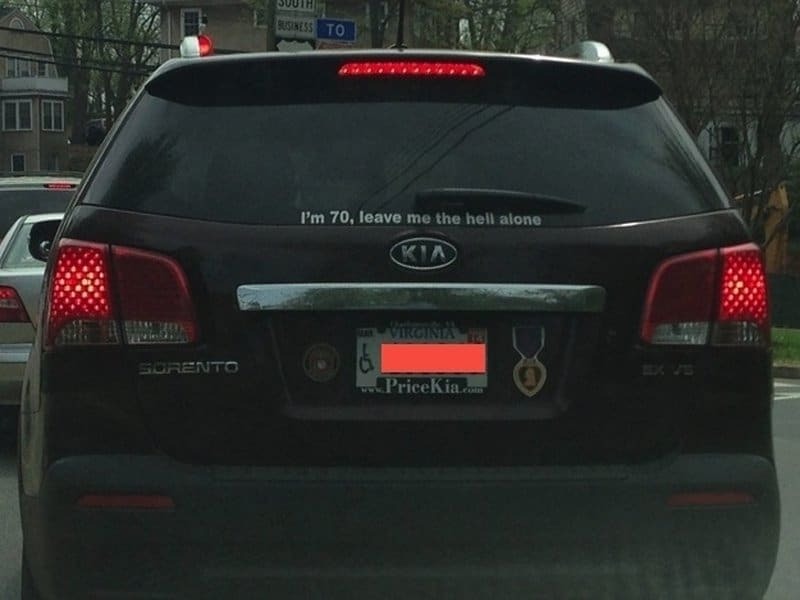 If you are having trouble seeing it, it says “I’m 70. Leave me the hell alone.” Yeah, at such an old age, he’s earned it. 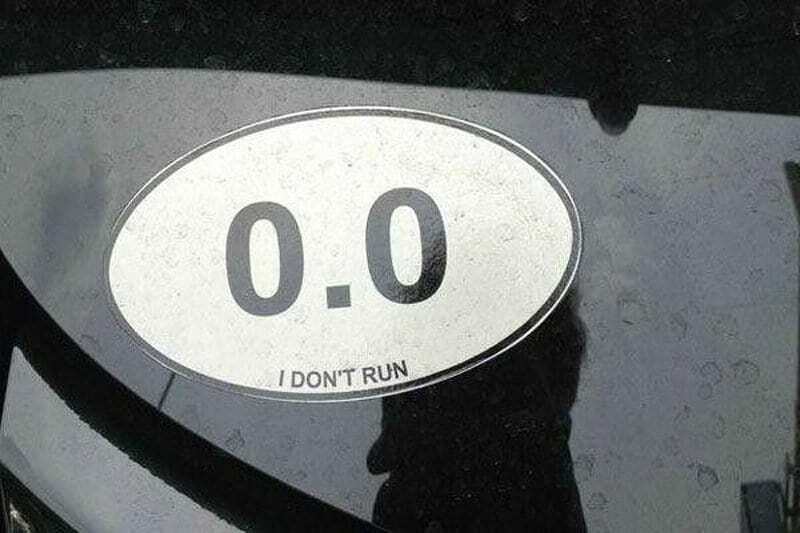 This is one person annoyed by all of the running bumper stickers bragging about times and distances. It’s very honest. 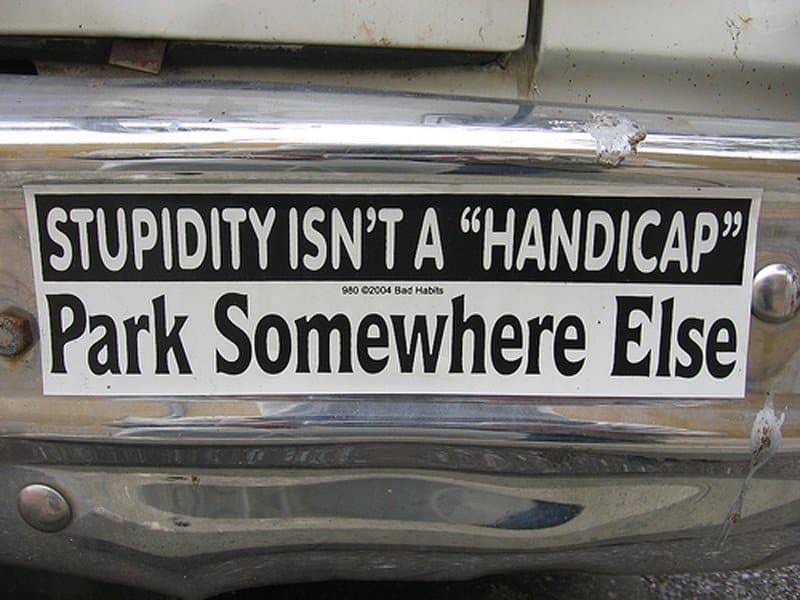 What a way to insult somebody! 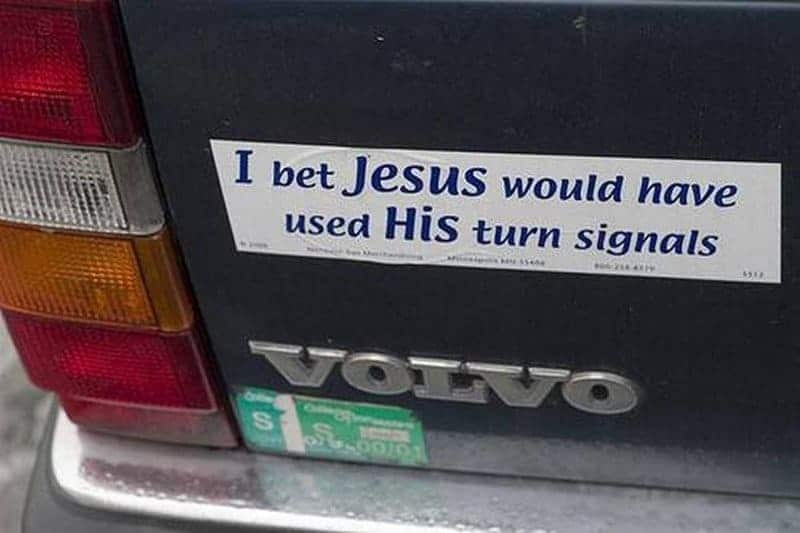 Jesus, you know, the religious founder, never learned how to drive, but even he would have used his turn signals. 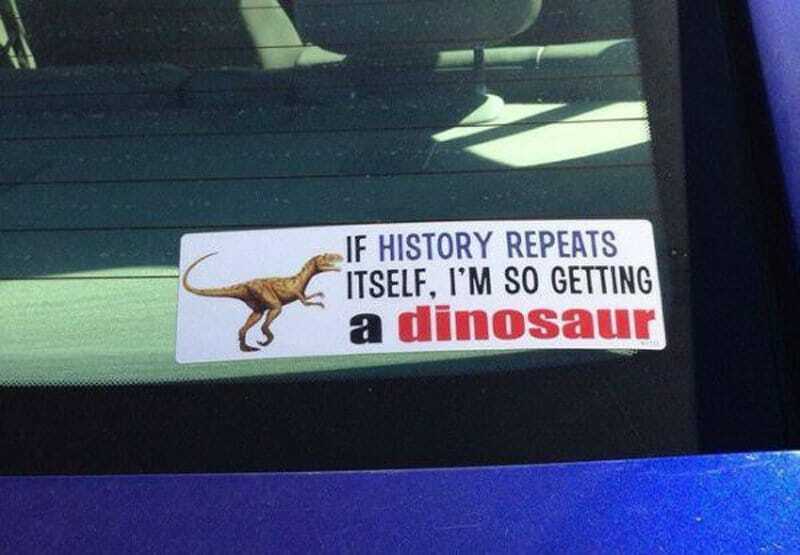 This person will be first in line when dinosaurs come back. Hopefully she will not get eaten. 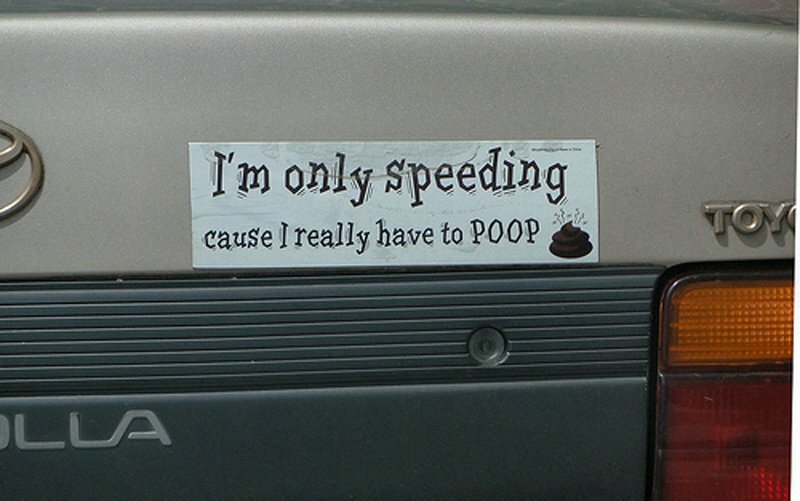 This is a driver who is sick and tired of the stick figure bumper stickers. 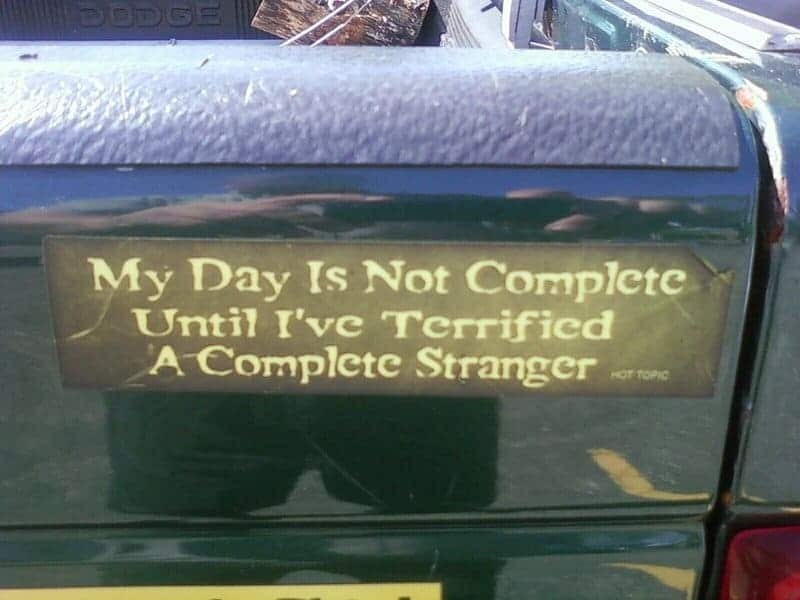 Or they just really like Friday the 13th. 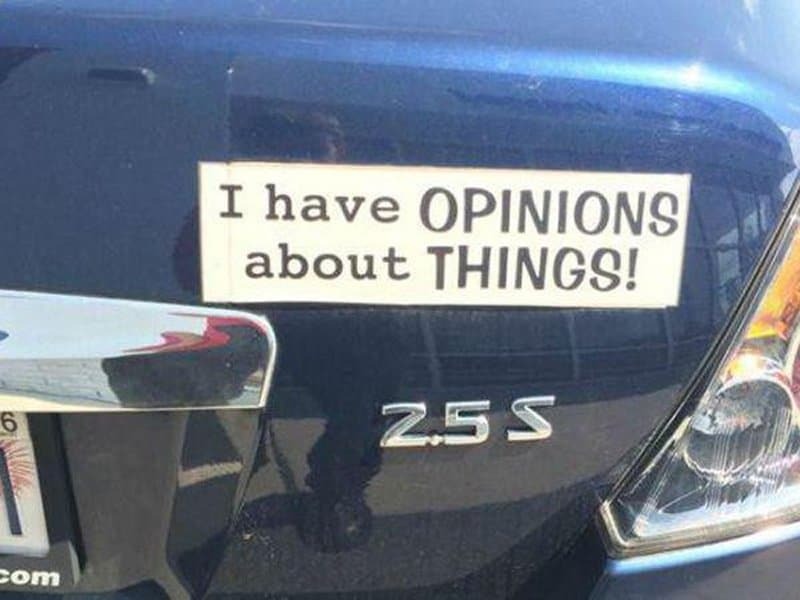 It’s great that this person has opinions. 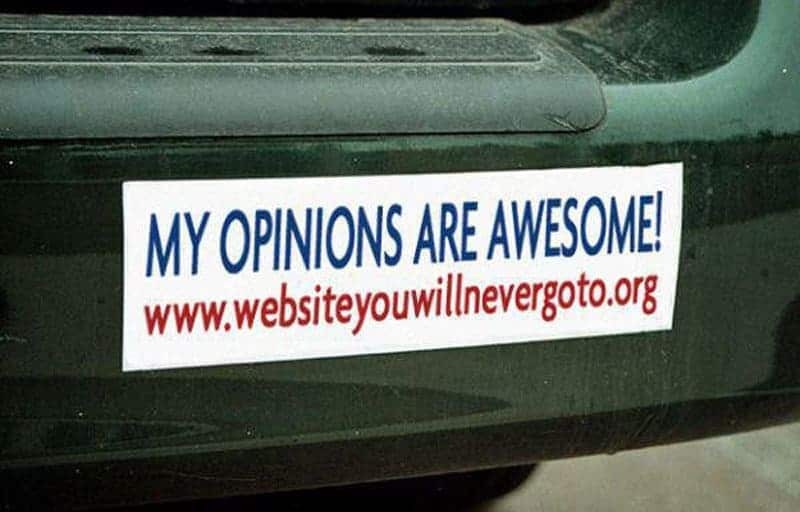 It’s probably also good that they keep their particular opinions to themselves. That is a very rare trait nowadays. 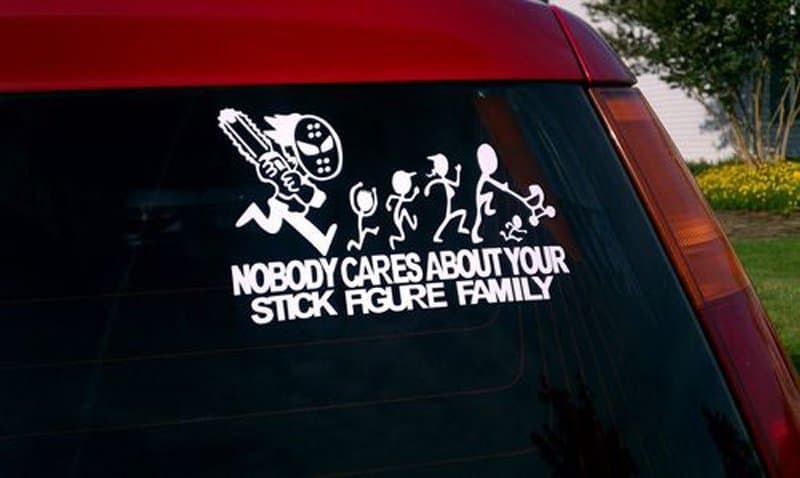 This person mocks all other bumper stickers by pointing out that no one really pays any attention to them. By the time we get home, we forget about the website they are trying to get us to go to. 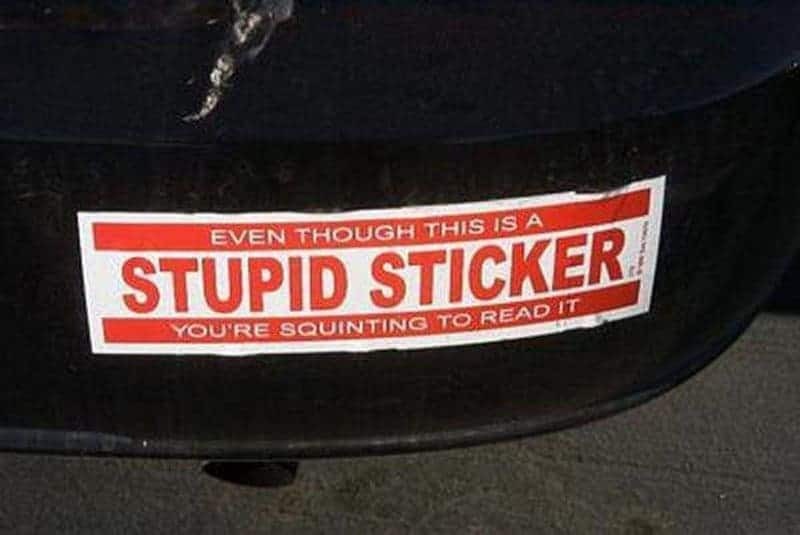 By the way, the website on this sticker directs to the retailer that sells those bumper stickers. 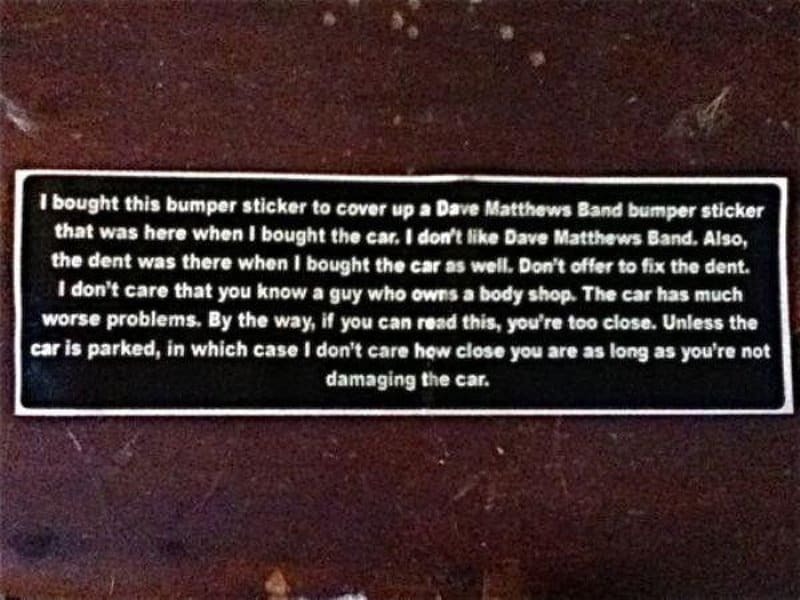 So, You Don’t Like Dave Matthews? 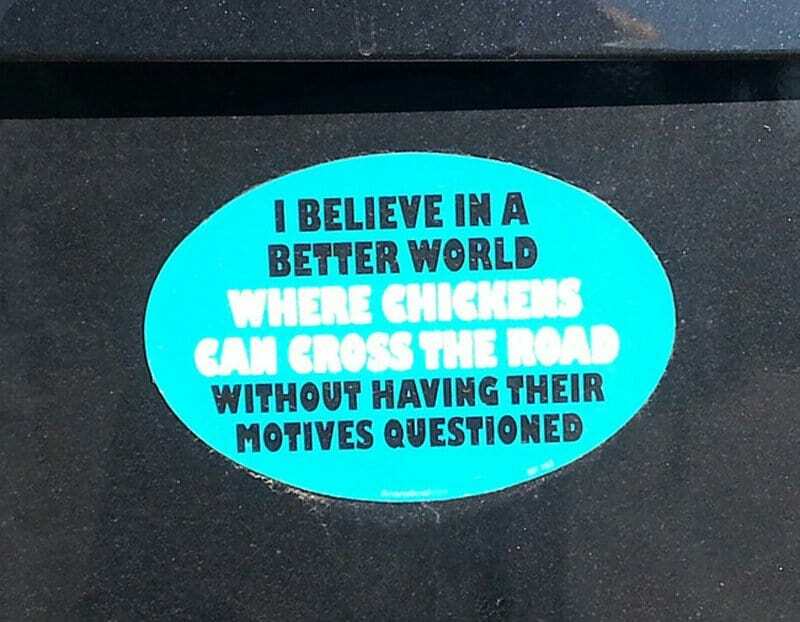 This novel of a bumper sticker tells you all you need to know about this driver. It even intercepts a possible ice breaker. 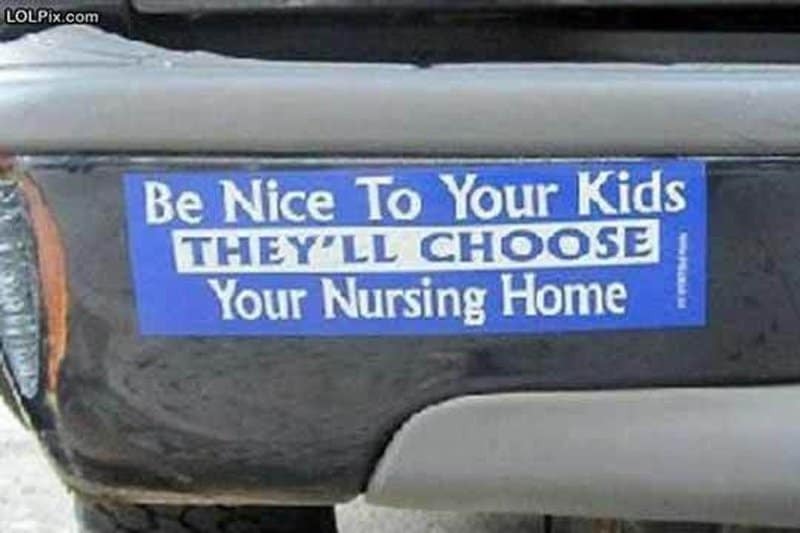 This takes the award for too much information shared on a bumper sticker. 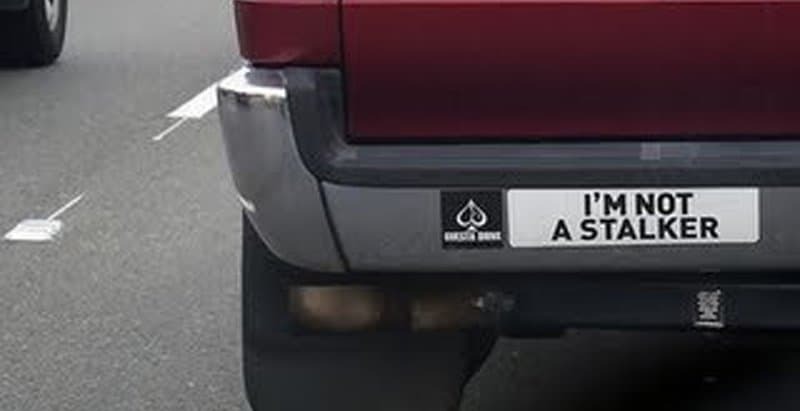 At least you now know why the driver is driving like an idiot. We might break with you. 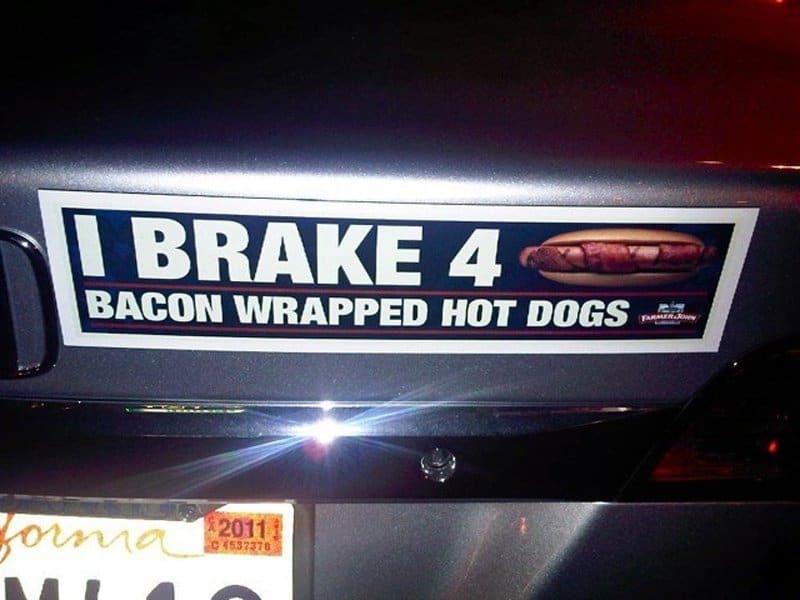 Bacon wrapped hot dogs sound good. 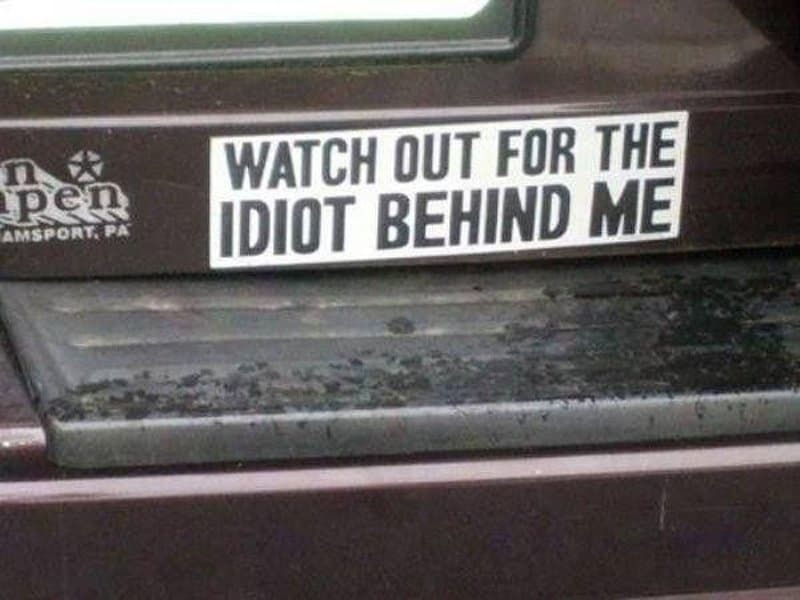 Now we can sleep better tonight knowing that the driver of this truck is not a stalker. 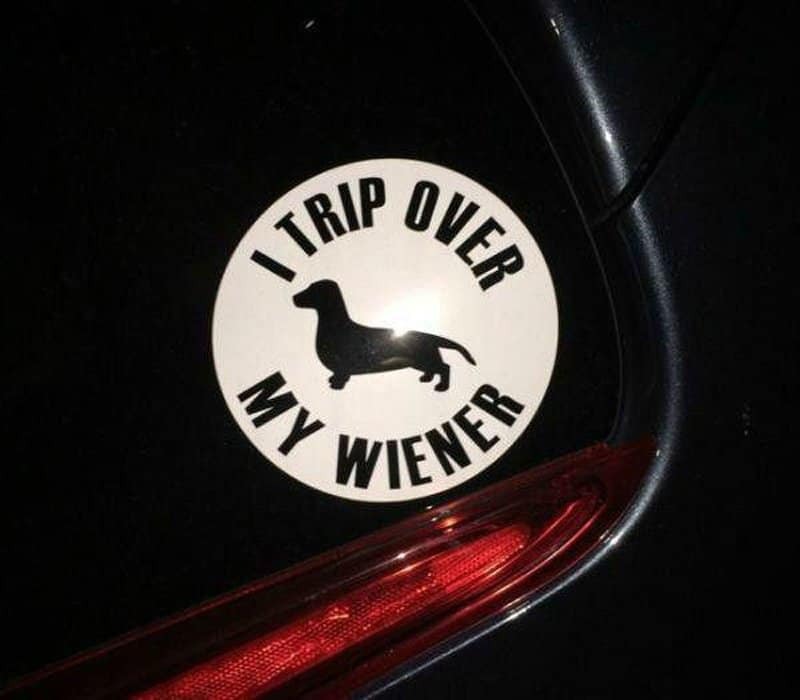 Does your wiener dog match your carpet? That would make life quite perilous for dog and owner. 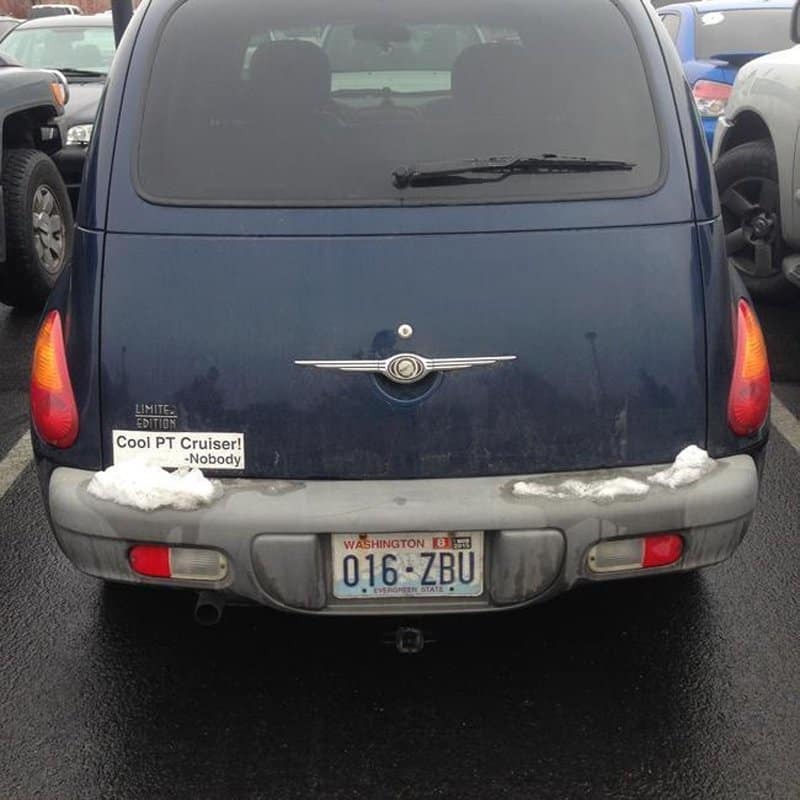 He knows that he’s driving a lame car and he doesn’t care who agrees with him.